Have you ever noticed how important news is in our lives? The important information we receive about the world around us influences our opinions, our values, our plans, and many other aspects of our lives. At times news events are so significant that they change our entire worldview. Well, when we stop to think about it, the Bible itself is sort of like an archive of news stories. It records all sorts of good and bad news related to God's people throughout history. And as we study these stories, they influence and change us in many ways. But without a doubt, the best news Scripture has to tell us is a collection of reports that we refer to simply as "the good news" or "the Gospels." They are the life-changing accounts of the person and work of our Lord and Savior Jesus Christ. This is the first lesson in our series The Gospels. In this series we will explore the books written by Matthew, Mark, Luke, and John about the life and ministry of Jesus Christ. In this lesson, which we have entitled "Introduction to the Gospels," we will gain an orientation toward these books that will help us to understand them more clearly and to apply them more fully to our lives today. In our Introduction to the Gospels, we will touch on four crucial matters. First, we will examine the Gospels in terms of their literary character. Second, we will look at their status in the church. Third, we'll consider the unity between the Gospels. And fourth, we'll explore the variety that distinguishes them from each other. Let's begin by looking at the literary character of these books. We will explore the literary character of the Gospels from two perspectives. First, we will consider the genre of the Gospels — their overarching literary characteristics — and second, we will discuss their historical reliability. Let's first turn to the genre of the four gospels. In general terms, a genre is a category or type of literature. Genres are typically distinguished from each other on the basis of their literary form and function, such as their style of narration, and their use of figurative language. The Bible contains many different genres. For example, there is historical narrative, such as the stories about David in the Old Testament. Another genre is poetry, such as the Psalms. Letters or epistles are another genre, and so is prophecy, and so on. Each genre of literature has its own conventions, its own ways of communicating. This is why it is so important for us to understand the genre of the Gospels. It is easier to understand what they teach, if we first understand how they teach. To understand how the Gospels communicate, we'll identify and describe their genre in three steps. First, we'll make some general statements identifying the Gospels as historical narrative. Second, we'll compare them to a specific type of historical narrative, namely Greco-Roman biography. And third, we'll compare the Gospels to biblical historical narrative, such as the histories in the Old Testament. Let's begin with the general category of historical narrative. Historical narratives are stories about people who lived in the past and about the actions and events that took place in their day. At a basic level, the Gospels are historical narratives because they record the life and ministry of Jesus Christ. In the secular writings of the ancient world, historical narratives typically developed in three main parts. The beginning of the narrative introduces characters and establishes a goal for the characters to achieve. The middle often presents challenges or obstacles to the characters' success in accomplishing their goals. The end is the conclusion of the account of events. It usually shows how the characters either did or did not accomplish their goals. The Gospels follow this same basic outline. Each begins by introducing Jesus as the main character in the story and describes his goal of bringing salvation through God's kingdom. Each continues by presenting challenges to Jesus' authority and work. And each concludes by describing the outcome of Jesus' earthly ministry. Because of these similarities, almost everyone agrees that historical narrative is the overarching genre of the Gospels. Within the larger category of historical narrative, some interpreters have suggested that the Gospels belong to a smaller group of narratives known as Greco-Roman biography. We will consider these comparisons between the Gospels and Greco-Roman biography in two steps. First, we'll look at the similarities between them. And second, we'll look at some of their differences. Let's begin with their similarities. Similarities. Ancient biographies recounted the lives of great leaders. Although they included many different characters and stories, Greco-Roman biographies described these characters and stories in ways that highlighted the featured leader. They defended the leader's ideas, and perpetuated awareness of his actions from one generation to another. And the Gospels were similar to ancient biographies in these ways. We also see parallels to some ancient biographies in the fact that Matthew and Luke include birth narratives, and all four gospels detail Jesus' death. The Gospels also follow the conventions of ancient biography as they trace the events of Jesus' life. Like other ancient biographers, the gospel writers arranged the events between Jesus' birth and death in various ways. Sometimes they arranged things chronologically. Sometimes they grouped things according to topic. And sometimes they even arranged them around geography. Another important characteristic of Greco-Roman biographies is that they related past events as historical realities so that the past was distinct from the present. Biographies focused on recording the unique, unrepeatable lives and contributions of specific, historical individuals. In general, ancient biographers tried to research and preserve accurate oral and written records. Consider the example provided by the respected biographer Plutarch, who lived from about A.D. 46 to 120. Plutarch was a secular Greek historian who wrote around A.D. 70, about the same time that the Gospels were written. He began his work Life of Cicero with background on Cicero's parents, but acknowledged the limitations of data regarding Cicero's father. It is generally said, that Helvia, the mother of Cicero, was both well-born and lived a fair life; but of his father nothing is reported but in extremes. For whilst some would have him the son of a fuller, and educated in that trade, others carry back the origin of his family to Tullus Attius, an illustrious king of the Volscians, who waged war not without honour against the Romans. Plutarch's caution in separating fact from speculation regarding Cicero's parents indicates that at least some ancient biographers paid attention to historical detail, and were interested in accuracy. The Gospels give evidence of being every bit as careful as Plutarch in their reporting. Broadly speaking, it is fair to say that the Gospels are historical narratives written during a time when biographical literature was popular in the Greco-Roman world. This widespread openness to biographies probably encouraged the Gospel writers in their task, and inclined them to adopt some of the formal conventions of those biographies. But despite the similarities between the Gospels and Greco-Roman biographies, there are also significant differences. Differences. Although there are several differences we might mention, we'll focus on just three. First, the Gospels differ from Greco-Roman biographies in their intended audiences. Ancient biographies were usually intended for broad audiences, while the Gospels were written for the relatively specific audience of the early Christian church. Although they exhibit certain traits of biographies, they are fundamentally intended for religious uses within the church. This specific design is confirmed by how quickly they became regularly used in the teaching and worship of the church. Second, the Gospels differ from biographies in their emphases. Greco-Roman biographies typically emphasize the personal qualities of their main characters, encouraging others to imitate their life and personalities. Although there are many ways the life of Jesus is our example, the Gospels have a distinctly different focus. They emphasize the uniqueness of Jesus. They focus on him as the one who reveals God and redeems his people as no one else can. This is why so much of the narrative of the Gospels is spent on the last week of his life — the Passion week. Third, the Gospels and ancient biographies represent different cultures. Biographies gave expression to Greco-Roman interests, values, and life-style. The Gospels are much more influenced by Jewish culture and especially by the Old Testament. This is true even of the Gospel of Luke, the gospel most influenced by Greek culture and thought. In conclusion, there are notable similarities between the Gospels and Greco-Roman biographies. And these similarities can shed some light on the meaning of the Gospels. But in light of the significant differences between them, it's clear that the Gospels do not fit neatly into the genre of Greco-Roman biography. Now that we've considered the gospel accounts in terms of general historical narrative and Greco-Roman biography, we're ready to compare them to the genre of biblical historical narrative. As similar as the Gospels are to typical historical narratives and even to Greco-Roman biographies, they are most similar to the historical narratives in the Old Testament. And this should not surprise us. After all, the Old Testament narratives were a part of the Gospel writers' sacred Scriptures. From the many references each gospel writer made to the Old Testament, we can be confident that they knew the Old Testament well — probably far better than most Christians today. And their familiarity with the Old Testament influenced how they approached their task. Moreover, the Gospel writers and the authors of the Old Testament historical narratives wrote for a similar purpose, namely, to explain and defend God's covenant with his people. For instance, historical narratives such as Exodus 1–19 provide the historical basis for the Mosaic Covenant in Exodus 20–24. Moses then took the blood, sprinkled it on the people and said, "This is the blood of the covenant that the Lord has made with you" (Exodus 24:8). Other biblical narratives, such as Joshua 1–23, provide the basis for the covenant renewal in Joshua 24. And the narratives of the books of Judges and 1 Samuel are the historical basis of the Davidic Covenant in 2 Samuel 7. And in a similar way, the Gospels provide the historical foundation for the New Covenant that Jesus established. After the supper [Jesus] took the cup, saying, "This cup is the new covenant in my blood, which is poured out for you" (Luke 22:20). In summary, when we compare the Gospels to other known genres of literature, they are most similar to biblical historical narratives. But this doesn't mean that they are precisely like other biblical historical narratives in every way. After all, they do borrow some features from Greco-Roman biographies. In this sense, we might say that the Gospels are a new type of biblical historical narrative. So, as we read them, it will help to think of the Gospels primarily as biblical historical narratives. But we should also see their biographic emphasis on Jesus, and interpret their other characters in relation to him. Having explored the genre of the Gospels, we are ready to turn to the question of the reliability of the Gospels as historical accounts about Jesus. Throughout history, a distinction has consistently been drawn between reliable historians and unreliable historians, between reliable sources and unreliable sources. The question for us is: Did the authors of the four gospels write reliable or unreliable records of Jesus' life? While the criteria of our day are not identical to the criteria they followed, there is plenty of evidence that Matthew, Mark, Luke, and John had the resources and motivation to write trustworthy accounts about Jesus. Although there are countless ways that we might prove that the Gospels are trustworthy historical records of Jesus' life, we'll focus on just six pieces of evidence. First, the Gospel writers had access to records of the events they recorded. Just like today, the ancient world expected reliable historians to have access to many facts related to their subject. If any man undertake to write a history … it is in the first place and above all things most necessary to … have plenty of all sorts of books, and … to hear and inform himself of such particulars as, having escaped the pens of writers, are more faithfully preserved in the memories of men, lest his work be deficient in many things. As we can see here, Plutarch strongly believed that a trustworthy historian needed to have access to reliable sources. And he placed a high value on carefully accounting for all available sources, including both written accounts, and those transmitted orally. Second, we can also see the historical reliability of the Gospels in the high level of candor in their works. Ancient standards for good historiography required historians to be candid or honest in the way they reported history. They were expected to report a spectrum of details, including those that were not necessarily favorable to the message being portrayed. In this respect, it is significant that the gospel writers so frequently described the failures of Jesus' disciples. And in the case of Matthew and John that meant describing their own personal failures. And if some interpreters are right that the young man running naked from the Garden of Gethsemane in Mark 14:51-52 is Mark himself, then Mark also described his own shortcomings. And without exception, all of the gospel writers exposed the failures of Jesus' disciples as a whole, admitting that the leaders of their infant church movement were far from perfect. They were completely amazed, for they had not understood about the loaves; their hearts were hardened (Mark 6:51-52). Time after time, the gospel writers reported the misunderstandings and moral failures of Jesus' disciples. But if mentioning these failures was likely to undercut the authority and respectability of the leaders of the church, why did the gospel writers do it? Third, our confidence in the reliability of the gospel writers is strengthened by the corroboration of other historical sources. Both Roman and Jewish historians confirmed a number of the claims of the gospel narratives, and even modern archaeology has found evidence that their records are true. For instance, Greco-Roman historians such as Pliny the Younger, Suetonius, Tacitus, and Julius Africanus referred to some of the basic data of Jesus' life, death by crucifixion, and lasting influence. A fourth reason to trust the gospel accounts is that the training Jesus' disciples received should have taught them how to preserve an accurate record of his words and deeds. Within Jewish culture, discipleship was a well-established way of life. In fact, the Hebrew word for disciple is talmid, which means student or learner. Specifically, a disciple was the student of a particular sage or rabbi. Moreover, in the Jewish culture of Jesus' day, one of the key exercises in learning from a rabbi was memorization. And one of the responsibilities of his disciples was to learn the words and wisdom of their teacher. A student is not above his teacher, but everyone who is fully trained will be like his teacher (Luke 6:40). Jesus meant that all who follow him were to study, learn, and shape their lives according to his teachings and actions. The twelve disciples closest to Jesus had a great responsibility to learn Jesus' teachings, while many others who learned from Jesus likely committed much of his teaching to memory as well. These are written that you may believe that Jesus is the Christ, the Son of God, and that by believing you may have life in his name (John 20:31). In this passage, John stated plainly that people could receive God's gift of life only if they knew and embraced the truth about Jesus. Here, Matthew stated that Jesus' disciples had the responsibility of teaching everything Jesus had commanded them. As genuine followers of Jesus, they could not ignore the need to give true accounts of what he had done and said. The gospel writers did not record the events of Jesus' life simply for their historical value. On the contrary, they knew that faith in Jesus was more than simply knowing the historical facts about him. But they also knew that true faith could not be based on a false or fallible historical record. They expressed Jesus' words and deeds clearly and accurately because they wanted their readers to believe in the real Jesus, the Jesus of history. Sixth, like all biblical writers, the gospel writers were not left on their own to write their records of Jesus' words and deeds. The Holy Spirit led them in this effort. All this I have spoken while still with you. But the Counselor, the Holy Spirit, whom the Father will send in my name, will teach you all things and will remind you of everything I have said to you (John 14:25-26). Now that we have spoken of the literary character of the Gospels, we are ready to turn to their status in the church as authoritative written texts. We will explore the Gospels' status in the church by considering their composition and their authenticity as the word of God. Let's turn first to their composition. When we speak of the composition of the Gospels, we have in mind the way they came to be written. Who were their authors? Why did they write these books? How did they write these books? Questions like these are important for Christians to explore because countless interpreters have focused on the human processes of composition to diminish the divine authority of these books. But the good news is that careful exploration gives us every reason to be confident that the Gospels are not only the works of human beings, but also the Word of God. We'll look at three matters related to the composition of the Gospels. First, we'll explore the similarities between the various gospel accounts.  Second, we'll survey some theories of composition that have arisen to explain these similarities. And third, we'll offer some comments regarding the certainty with which we should commit to these theories. Let's begin by considering the similarities between the Gospels. While composed separately, the gospel accounts of Matthew, Mark, and Luke have often been grouped together and called the Synoptic Gospels. The term "synoptic" simply means, "seeing together," and has been applied to these gospels because they cover largely the same material. They include many of the same accounts of Jesus' words and deeds. And when they report the same sayings of Jesus, they often use exactly the same words. "But so that you may know that the Son of Man has authority on earth to forgive sins…" Then he said to the paralytic, "Get up, take your mat and go home" (Matthew 9:6). "But that you may know that the Son of Man has authority on earth to forgive sins…" He said to the paralytic, "I tell you, get up, take your mat and go home" (Mark 2:10-11). "But that you may know that the Son of Man has authority on earth to forgive sins…" He said to the paralyzed man, "I tell you, get up, take your mat and go home" (Luke 5:24). In this example, we see that each of the Synoptic Gospels contains an almost word-for-word account of the same miracle story. Other parallel stories found in at least two of the three Synoptic Gospels include: the healing of a leper, the exorcism of a demon in Capernaum, the healing of Peter's mother-in-law, the calming of a storm at sea, the raising of Jairus' dead daughter, the entrusting of authority to the Twelve, Jesus walking on water, the healing of a man's withered hand, the feeding of five thousand people with a few loaves and a few fish, and Jesus' transfiguration. In contrast to the Synoptic Gospels, much of the material of John's gospel is unique. While John also recorded that Jesus walked on water and fed five thousand people, he included many events that are not recorded in the Synoptic Gospels. For example, John reported Jesus' turning water into wine, Jesus' conversation with the Samaritan woman, and Jesus' raising of Lazarus from the dead. But even though the stories of Jesus' ministry and life vary among the four gospels, all four witness to Jesus' baptism, Jesus' last meal with his disciples, Jesus' death on the cross, and Jesus' resurrection from the dead. The similarities and differences among the Gospels have led to many competing explanations. So, now let's turn to the theories of the Gospels' composition. Because of the many similarities between the Synoptic Gospels, scholars have developed many theories regarding their compositional history. These theories are often rather complex and they can be confusing when we first begin to study them. We might summarize the most popular theories in this way: Most interpreters believe that Mark was written first, and that Matthew and Luke used materials from Mark and perhaps from other sources. But other interpreters believe that Matthew was written first, and that Mark used materials from Matthew, and that Luke used materials from both Matthew and Mark. Still others believe that both Matthew and Luke were based on sources we no longer have, and that Mark used material from both of them. As you can see, even comparing the general characteristics of these theories can be a little confusing. By contrast, the composition of John is fairly simple. Most interpreters agree that he wrote near the end of the first century, and was familiar with at least one and perhaps all of the synoptic accounts. It is sometimes suggested that he avoided repeating much of the material that he knew had already been mentioned in the Synoptics, and chose to provide additional information that was most relevant to the communities to which he ministered. With these theories of composition in mind, let's talk about the certainty with which we should hold to them. Many have undertaken to draw up an account of the things that have been fulfilled among us, just as they were handed down to us … Therefore, since I myself have carefully investigated everything from the beginning, it seemed good also to me to write an orderly account for you (Luke 1:1-3). All the other gospel writers seem to have had access to similar sources, although they didn't explicitly mention it the way Luke did. If we assume with the majority of interpreters that Mark wrote first, he didn't have access to any previously written gospel, but he almost certainly used oral traditions, at least from his close friend Peter. Luke and Matthew probably used Mark's gospel as a model. In addition to this, Matthew and John had their own recollection of Jesus' life and teachings. And all four writers were infallibly superintended by the Holy Spirit, as we have seen previously. In summary, we can appreciate the theories regarding the relationship between the gospels. But we should not feel the need to understand all their intricacies or to commit firmly to any one of them. What these theories offer us is the confidence that the gospel writers each had the ability to draw information from multiple sources, and to construct reliable accounts of Jesus' life and teachings. When we see overlap in their accounts, we have the opportunity to consider the different perspectives of the evangelists, no matter which preceded the other. And when we read material that appears in only one of the Gospels, we can study it in light of that particular writer's purposes. Having considered the composition of the four gospels, we are ready to address their authenticity. In the early centuries of the church, there were some disagreements about which books from the apostolic age truly belonged in the New Testament. Some early church leaders did not acknowledge all the books we now have in the New Testament. Others believed that we should include additional books beyond the twenty-seven that we have now. But these disputes did not involve the books of Matthew, Mark, Luke and John. These four gospels — and no others — were always received as genuine and authoritative by the faithful churches of God. For example, the third century church father Origen, who lived from A.D. 185 to 254, argued that only the four gospels we now possess in the New Testament were authentic. The four gospels … are the only indisputable ones in the Church of God under heaven. It is not possible that the Gospels can be either more or fewer in number than they are… He who was manifested to men that is, Jesus, has given us the Gospel under four aspects, but bound together by one Spirit. Irenaeus said he knew of no time when any of the four was disputed or when any other gospel than these four was used in worship in the church. There were at least three reasons for the early church's bold confidence in these four gospels. First, the church received the Gospels as authentic because they were written by the trustworthy authors named in their titles. It is highly likely that the Gospels were originally anonymous. But it is also likely that when they were first published, they were received by people who knew the authors, or perhaps even distributed with letters identifying the authors. And from the earliest times, Christian writings associated the Gospels with the names Matthew, Mark, Luke and John — four men known from the New Testament as church leaders with good reputations. Second, early Christians were also confident in the Gospels' place in the canon from the fact that these books had apostolic approval. Matthew and John were apostles, eyewitnesses to the words and works of Jesus. Mark was thought to have received much of his material from Peter, who spoke affectionately of Mark as "My son" in 1 Peter 5:13. And as we have already seen, in Luke 1:1-4, Luke explained that he based his work on eyewitness accounts. The three gospels already mentioned Matthew, Mark and Luke having come into the hands of all and into his own too, they say that he accepted them and bore witness to their truthfulness. And third, all four gospels are supported by the witness of the church in the first century. All four books are old enough that living eyewitnesses to Jesus' life and ministry would have been able to reject or confirm their accounts. And as it happened, the eyewitnesses did confirm them by receiving the Gospels into the churches at a very early date. Now that we have examined the literary character of the Gospels and looked at their place in the church, we are ready to look at the unity between all four New Testament gospels. We will consider the unity among the Gospels first by affirming that each book tells the same story of the kingdom of God, and second by exploring their emphasis on Jesus as the one who brings the kingdom of God. Let's begin with the affirmation that the same over-arching story is related by each of the New Testament gospels. In a general sense, we can say that the story that is told in the books of Matthew, Mark, Luke and John is the gospel. In fact, this is why the books themselves are referred to as "the Gospels." They are the books that tell the gospel story. But what exactly is the gospel story? The word "gospel" translates the Greek word euangelion which simply means "good news." So, when the Bible talks about the gospel of Jesus, it's referring to the good news about Jesus. But what exactly is this good news? Who is Jesus? And what story do the Gospels tell about him? To answer these questions, we need to understand that the word "gospel" sometimes referred to a very specific type of news in the ancient world. Specifically, when warrior kings or emperors conquered new territories, they sometimes made imperial proclamations of their victories in announcements called "good news." In this use of the term "gospel," the "good news" was an announcement of a king's victory and that his reign would bring blessings to his people. In fact, this is also how the term was sometimes used in the Old Testament. In this passage, Isaiah envisioned the wondrous approach of messengers on the mountains surrounding Jerusalem announcing the good news that Israel's time of exile was over. They announced peace and salvation because of the reign of God over all. In the context of Isaiah's prophecy, the reign of God — the building of his kingdom on earth — was the good news that the people of Israel and Judah needed to hear. It was the news that under God's kingship, they would have rest from their enemies and live in God's worldwide kingdom forever. But in Isaiah's day, God had not done this yet. Isaiah's prophecy looked forward to a day in the future when God would come in power as king over the whole earth. And the good news that Matthew, Mark, Luke and John told was that this day had finally been realized in Jesus. The gospel writers all told the same story, pointing back to Jesus as the one who had brought the kingdom of God, and who was fulfilling the Old Testament prophecies. They were messengers with beautiful feet who announced the good news that the kingdom of God had come to earth through its final king: Jesus. This one story of the coming of the kingdom provides the overarching unity that all four gospels share. In light of this fact, it should not be surprising to learn that the New Testament gospels use terms like "gospel" and "evangelize" far less frequently than language referring to God's kingdom. Various forms of the word "gospel" appear in only 23 verses across Matthew, Mark, Luke, and John. In contrast to this, phrases like "king," "kingdom of God," and Matthew's special term "kingdom of heaven" are used around 150 times. Now that we understand that all the Gospels tell the same story of the kingdom of God, let's look at their emphasis on Jesus as the king who brings the kingdom of God. Our discussion of Jesus and the kingdom will divide into three parts. First, we'll consider some proofs that the Gospels offer to demonstrate that Jesus brought the kingdom. Second, we'll describe the vocabulary the Bible uses to talk about Jesus and the kingdom. And third, we'll see that Jesus brings the kingdom in stages. Let's begin with some proofs that Jesus brought the kingdom. In this passage, Jesus had just exorcised a demon. And his ability to cast out demons proved that he had brought the kingdom of God. A second way the Gospels demonstrate that God's kingdom had come was through Jesus' power to heal the sick and resurrect the dead. The Gospels regularly indicate that Jesus' power to heal — as well as the same power that he gave to his disciples — was proof that he had brought the kingdom of God. We see this theme in Matthew 4:23-24, 8:5-13, and 10:7-8. We also see it in Luke 9:1-11, and 10:9 — and in many other places. The coming of the kingdom was also seen in Jesus' authority to forgive sins. The Lord is our judge, the Lord is our lawgiver, the Lord is our king; it is he who will save us… No one living in Zion will say, "I am ill"; and the sins of those who dwell there will be forgiven (Isaiah 33:22-24). Isaiah indicated that it was God's royal prerogative to heal and to forgive. And he prophesied that healing and forgiveness would eventually come through the Messiah when the Messiah restored God's kingdom on earth. "Which is easier: to say to the paralytic, 'Your sins are forgiven,' or to say, 'Get up, take your mat and walk'? But that you may know that the Son of Man has authority on earth to forgive sins …" He said to the paralytic, "I tell you, get up, take your mat and go home" (Mark 2:9-11). Jesus amazed everyone when he announced that, as the Son of Man in whom the kingdom was present, he had the authority on earth to forgive sin. In Jesus, God's rule had come. God's reign, God's kingdom, was here on the earth. That meant blessings for God's people. It meant that God's peace, which Isaiah had prophesied so many years before, had finally come. With these proofs in mind, let's talk about the vocabulary the Gospels use to talk about Jesus and the kingdom. One reason Christians sometimes don't immediately see the Gospels' emphasis on the kingdom of God is that the gospel writers used so many different words to talk about it. Obviously, they used words like "king" and "kingdom." But they also used words like "reign," "rule," "authority," "throne," "Son of David," and many other words that pointed to God's sovereignty and control. As just one example, the story of Jesus healing the paralyzed man in Mark 2:1-12 doesn't use the words "king" or "kingdom." Verse 10, however, forces us to see the kingdom meaning of the whole story when Jesus says, "The Son of Man has authority on earth to forgive sins." The kingdom of God had come to earth in Jesus' powerful acts of healing and words of forgiveness. In fact, against the backdrop of Old Testament prophesies describing the glorious, blessed nature of the kingdom of God, every good thing that Jesus did was a taste of God's kingdom in one way or another. Now that we have looked at some proofs that Jesus brought the kingdom of God, and considered the vocabulary the Gospels use to talk about Jesus' kingdom, let's briefly describe the stages in which Jesus brings the kingdom. At that time they will see the Son of Man coming in a cloud with power and great glory. When these things begin to take place, stand up and lift up your heads, because your redemption is drawing near (Luke 21:27-28). Many Jewish theologians had interpreted the Old Testament to teach that when the Messiah came, he would do away with the old age of sin and death all at once, and replace it with the new age of the kingdom of God. But Jesus indicated that he was bringing the kingdom in stages. He inaugurated the kingdom during his earthly ministry. The kingdom continues now as he reigns from heaven. And it will be consummated or completed in the future when he returns. Not surprisingly, most Jews in the first century turned away from Jesus because the kingdom he described didn't look like the kingdom they expected and wanted. They expected a king and a kingdom that would overthrow Rome and free the Jews from Roman oppression. When Jesus showed no interest in being that kind of king, many turned their backs and walked away, just as we see in Luke 17:20-25 and John 6:60-69. And of course, this rejection ultimately led to Jesus' execution. The great irony of the Gospels is that Jesus' death by crucifixion was at the same moment both the climax of the hostility against his kingship, and the victory of his kingship and kingdom. His resurrection and ascension were his path to his royal throne at the right hand of God the Father. This is why Jesus used the forty days between his resurrection and ascension to teach his disciples about the kingdom of God, as Luke reported in Acts 1:3. The kingdom of God is the theme of good news that binds together the events of Jesus' life in the Gospels. The Gospels proclaim the good news that God has kept his promise; that his kingdom has come in Jesus. And Jesus' victorious life assures us that one day he will return to consummate his kingdom, bringing us all its blessings in all their fullness. So far in this lesson, we have examined the Gospels in terms of their literary character, looked at their status in the church, and considered their unity. At this point, we are ready to talk about the variety that distinguishes them from each other. As we have seen, all four gospels present the same story of the coming of God's kingdom, but each does this in its own way. We will explore this variety in two main ways. First, we'll look at some apparent difficulties in the reconciling of the gospel accounts. And second, we'll look at the distinctive emphases of each gospel. Let's begin with the apparent difficulties. When we read the Gospels, the overwhelming impression is how similar they are to each other. There are, however, a number of places where the gospel records appear to say different things. Of course most of these differences are so minor that they cannot with any degree of seriousness be called contradictions. A few, however, do trouble some readers. That is why it's important for us to look at a few of the most significant kinds of apparent difficulties. Some of the most common differences relate to chronology, the order in which events are described in the various gospels. As biographical narratives, each of the Gospels follows the same basic timeline. Each begins with Jesus' birth, then moves to his death, and finally to his resurrection. But they often list other events in Jesus' life in different orders. The reason is that the Gospels sometimes group events according to priorities that were quite acceptable in the first century but might not meet our modern expectations. Rather than following strictly chronological priorities, the Gospels sometimes order their episodes according to theme or geography. For example, Mark told the story of Jesus being rejected in his hometown in Mark 6:1-6. But Luke placed it sooner in the narrative, in Luke 4:14-30, so that it was the first story in Jesus' public ministry. Luke's gospel gives the story more prominence than Mark's does. And it even tells a longer version of the story to emphasize the theme of rejection. The gospel writers were far less interested in preserving a precise chronological itinerary for Jesus' ministry than they were with clearly communicating the coming of the kingdom in his teachings and actions. A second type of difference is the omission of material in one or more of the gospels. For example, John does not mention the institution of the Lord's Supper in his gospel. Omissions like this can be explained in a number of ways. They may result simply from different writers' emphases. Or they may also result from later gospel writers not feeling the need to repeat portions of what appeared in the books of earlier gospel writers. Whatever the case, omissions do not imply disagreements or contradictions between the gospel writers. Think about a conversation you've had that involved multiple people. Each person who speaks does not feel the need to repeat everything the others have said already. Instead, each person focuses on adding his own particular perspective, perhaps with some new details, and maybe with a different emphasis. Scripture does this explicitly from time to time. For instance, in 2 Chronicles 9:29, the Chronicler explicitly said that he was omitting details that had already been recorded by other writers. This also happens at least three other times in 2 Chronicles, and often in the books of 1 and 2 Kings. So, it should not be surprising to find that one gospel writer omitted important materials that had already been mentioned by another. A third common type of apparent difficulty results from similarities between different events that occurred in Jesus' ministry. That is to say, at times two gospels seem to describe the same event in different ways, but they may actually be describing two similar but different events. It's important to remember that Jesus was an itinerate preacher. That is, he moved around from place to place. He also performed many of the same types of miracles in different places, healing many who were blind or lame. And of course, Jesus answered many of the same questions and challenges over and over again. In addition to this, people responded to Jesus in similar ways on different occasions. Consider the accounts of Jesus being anointed in Luke 7:36-50 and Mark 14:3-9. In Luke, Jesus is in the house of a Pharisee, but in Mark, he's in the house of Simon the Leper. These are not two contradictory reports of the same event. Rather, they are reports of two different events. A fourth type of apparent difficulty is confusion caused by different speeches that had similar content. One of the best known examples of this is Jesus' Sermon on the Mount in Matthew 5:1–7:29 of his gospel, and Luke's similar set of teachings in Luke 6:17-49. In Matthew 5:1, we are told that it took place on a mountainside. But in Luke 6:17, we are told that it took place on a level place. There are at least three ways to approach this problem. First, both Matthew and Luke may be talking about the same sermon given at the same time and place. The Southwestern side of the Sea of Galilee is not a rugged mountainside, but rolling hillsides rising from the sea. This elevated area also has many smaller areas that are relatively flat, so the same geography could be called a mountainside as in Matthew and a level place as in Luke. In the second place this may be an example of the ancient practice of creating a composite speech, putting together into one sermon things that Jesus spoke on different occasions. This is a technique used by ancient historians and raises no questions about integrity or reliability. In the third place, it's also possible that Jesus preached two very similar sermons on two different days, in two different settings: one on a mountainside and one on a plain. Because of the style of Jesus' ministry it's certainly reasonable to assume that Jesus would repeat many of his teachings to new audiences who were unfamiliar with them. By observing the variety of ways the differences in the Gospels can be harmonized, we can be assured that their united witness to Jesus' life and ministry is true. Yes, there are seeming discrepancies in details. But there are also reasonable explanations for each of these kinds of differences. And when we discover that Jesus taught the same thing on different occasions, we can see the consistency of his ministry and message, and find a variety of ways to apply his teachings to our lives. We began looking at the variety among the four gospels by asking about apparent difficulties in the texts. So, at this point, we're ready to continue looking at the variety of the four gospels by exploring their distinctive emphases. Because each of the Gospels was written by a unique author who brought his own perspective and concerns to his account of Jesus' life and ministry, there are differences among the four gospels. Knowing that each of the four gospels has been inspired by the Holy Spirit, we are confident that each account is free from error and therefore does not contradict the others. But that doesn't mean that there are no differences. The Holy Spirit used the personalities, interests, and ministry situations of the human authors to shape those differences. So, if we want to be blessed in all the ways the Holy Spirit wants to bless us, we must take the gospel's unique approaches into account when we read them. In many circumstances in life, we find that different people talk about the same truth in different ways. Anyone who has watched small children play knows that one event can have multiple, compatible interpretations. Each child has his or her own perspective on the games they played. Only by listening to each of them talk about the games can we piece together a picture of what really happened. One might be enthusiastic about the colors of the toys. Another might be more interested in describing the sounds they made. Another might excitedly report running around. These different perspectives do not contradict each other. But they do indicate that each child found some parts of the games more interesting than others. In a similar way, each gospel writer's own interests and concerns are reflected in his account of the gospel story. No two accounts look exactly the same. All the New Testament gospel stories describe the same Jesus, but they often speak about him in different ways and highlight different aspects of his ministry. There are many distinctive characteristics and themes of the Gospels. But in this introductory lesson, we will focus on the way each gospel answers two questions: "Who is Jesus?" and "How do we follow Jesus?" Let's begin by looking at how Matthew answers these important questions. Who is Jesus in Matthew? Of all the gospel writers, Matthew is the one who is most concerned to communicate that Jesus is the messianic king of Israel that was foretold in the Old Testament. A small sampling of the places Matthew mentions Jesus' kingship includes: 2:2 in which the Magi asked where they could find the "one who has been born king of the Jews"; 7:21-23 in which, as Lord, Jesus said he would not admit all who call him "Lord" to the kingdom of heaven; 20:20-28 when the mother of the apostles James and John requested that her sons be given a privileged place alongside Jesus in the kingdom; 25:31-46 where Jesus told a parable about his judgment as King at the final day; and 27:37 in which Matthew ironically noted that the Roman soldiers put a sign above Jesus' head at the cross that read, "This is Jesus, The King of the Jews." It was expected that God's messianic king would bring to earth God's messianic kingdom. He would deliver Israel from exile and her enemies. He would rule with righteousness, establishing peace and prosperity. Jesus did all this, but he did not do it in the way the Jews expected. Do not think that I have come to abolish the Law or the Prophets. I have not come to abolish them but to fulfill them (Matthew 5:17). Jesus understood that many Jews who witnessed his ministry would think that he was destroying the law of God and failing to fulfill the promises of the Old Testament. That's why he said with emphatic clarity that he was fulfilling the Law and the prophets even if it didn't look that way. Not only in this passage, but time after time, Matthew reported that Jesus fulfilled one aspect or another of the Old Testament Scriptures, demonstrating that he was truly the messianic king of Israel. So, according to Matthew, how do we follow Jesus? Jesus perfectly kept the law of God, but that isn't all he did. He said that keeping the outward demands of the law wasn't enough. God has always required the citizens of his kingdom to obey him from the heart. The good news of the gospel is that the kingdom has come, bringing forgiveness and salvation to God's people, and giving us new, obedient hearts. And our changed hearts give us both the power and the motivation to follow Jesus with a loving, thankful, joyful obedience. Now that we have seen how Matthew's gospel answers our two questions, let's explore what Mark has to say. Who is Jesus in Mark? First, according to Mark, who is Jesus? Throughout his account, Mark emphasized that Jesus was the suffering Son of God who conquered the enemies of God's people. Mark recorded many instances of Jesus' miracles showing his power over the forces of evil. Even though Mark is far shorter than Matthew and Luke's gospels, it records almost as many miracles — eighteen in all. From the very start of Mark's gospel we see that Jesus was the conquering and suffering Son of God. In the first chapter alone, John the Baptist prophesied Jesus' coming, and then Jesus began his public ministry. He was baptized, was tempted in the desert, called his first disciples, drove out evil spirits, and healed many people from various sicknesses. Even a superficial reading of this action-packed, rapid-fire narrative shows that Jesus was powerfully conquering the enemies of God's kingdom. A closer reading also shows that Mark portrayed him as the suffering Son of God right from the beginning of his ministry. At once the Spirit sent him out into the desert, and he was in the desert forty days, being tempted by Satan. He was with the wild animals, and angels attended him (Mark 1:12-13). Jesus suffered the onslaught of Satan's attacks from the first moment of his public ministry. And this picture of Jesus as suffering servant continued to grow throughout Mark's gospel as Jesus endured persecutions and rejection. So, how does Mark say that we should follow Jesus, the suffering conqueror? On one hand, Mark's gospel does not sugar-coat the Christian life. Mark described discipleship as a difficult and often frustrating process in which we not only suffer, but also make mistakes and fail. In fact, a distinctive trait of Mark's gospel is how often Jesus' disciples failed to understand him or to respond in faith. In Mark 4:40 Jesus wondered if his disciples had faith at all; in 6:52, the disciples' "hearts were hardened"; in 7:18, Jesus accused his disciples of being "dull" because they failed to understand his teachings; in 9:18 the disciples were unable to drive out an evil spirit; in 9:38-41 the disciples mistakenly attempted to hinder an exorcist because they didn't know him; and in the course of chapter 14, one disciple betrayed Jesus to the authorities, one denied all association with Jesus, and the rest abandoned him. This emphasis in Mark's gospel teaches us at least two things about following Jesus. First, just like the disciples, we won't always understand Jesus. In fact, we're likely to misunderstand many things in the Bible. So, we need to be humble enough to recognize that we all have much to learn. As part of this, we need to receive the Bible's teaching by faith, knowing that God's word is true even if it seems strange or wrong to us. And second, difficulties and suffering are inevitable for Christians. There are many dangers, many temptations to turn away from following him. Jesus taught that we need to be faithful in our commitment to him. We have to be willing to suffer as Jesus suffered, to stand against temptation and spiritual attacks. But notice something else in this passage: Jesus is not only the suffering Son of God; he is also the conquering Son of God. In fact, he conquers through his suffering death. And if we follow him faithfully in suffering for the kingdom, we will be rewarded with eternal life. With Matthew and Mark in mind, let's consider how Luke answers our questions about Jesus and his followers. Who is Jesus in Luke? Luke's gospel answers the question "Who is Jesus?" by proclaiming that he is the compassionate Savior of the world. Jesus brought God's salvation to the rich and the poor alike, to the religious leaders and to the social outcasts. Jesus' good news was for everyone — even for the unnoticed and the despised. Luke emphasized this in many ways. Jesus honored the sisters Mary and Martha in a time when many men considered women inferior. Luke recorded parables and narratives that presented women, the sick and the crippled, and even non-Jews, as worthy of praise and imitation. Jesus praised the widow who gave her small life's savings at the temple. Luke told the story of the despised tax collector Zacchaeus, whose response to Jesus was a model for all Luke's readers. Time after time, Luke recorded Jesus' concerns for those that society rejected or overlooked. As [Jesus] approached the town gate, a dead person was being carried out — the only son of his mother, and she was a widow… When the Lord saw her, his heart went out to her and he said, "Don't cry." Then he went up and touched the coffin, and those carrying it stood still. He said, "Young man, I say to you, get up!" The dead man sat up and began to talk, and Jesus gave him back to his mother. They were all filled with awe and praised God. "A great prophet has appeared among us," they said. "God has come to help his people" (Luke 7:12-16). In the first-century Roman world, a widow who had lost her son would have had little means of provision, and little opportunity to find work. By emphasizing Jesus' compassion for her, Luke pointed out that the Lord's work as a savior was intended even for the poor and helpless. As the people at the end of this account commented, Jesus' ministry to the needy and powerless was proof that God had come to help his people. Sell your possessions and give to the poor. Provide purses for yourselves that will not wear out, a treasure in heaven that will not be exhausted, where no thief comes near and no moth destroys (Luke 12:33). When we follow Jesus faithfully by caring for his people, he rewards us with an eternal inheritance. Another way we can follow Jesus is by resting confidently in the fact that God will meet our needs too. Do not worry about your life, what you will eat; or about your body, what you will wear… And do not set your heart on what you will eat or drink; do not worry about it… But seek his kingdom, and these things will be given to you as well (Luke 12:22-31). As members of God's kingdom, we can be confident that our great king Jesus Christ will care for us and meet our needs. I bring you good news of great joy … Glory to God in the highest, and on earth peace (Luke 2:10-14). And twenty-two chapters later, Luke ended his gospel the same way he began it. At the end of his story, the disciples were following Jesus and experiencing the joy that the angels had prophesied back in chapter 2. Then they worshipped him and returned to Jerusalem with great joy. And they stayed continually at the temple, praising God (Luke 24:52-53). In Luke's gospel, following Jesus means rejoicing in our salvation and all of God's blessings, peacefully resting in him, trusting in him to meet all our needs, and being willing to be used by him to bring these same blessings to others. Having seen how Matthew, Mark, and Luke answer the questions, "Who is Jesus?" and "How do we follow him? ", we're ready to consider how John uniquely answered these questions. Who is Jesus in John? In his gospel, John portrayed Jesus as the Son of God who accomplishes the eternal plan of salvation. In emphasizing Jesus' identity as the Son of God, John spoke of Jesus' unique relationship with his Father. Jesus is the ultimate revelation of his Father and the only one able to make eternal life available to all those who put their faith in him. For instance, whereas the other three gospel writers began their accounts with the birth of Jesus or his earthly ministry, John began his gospel by saying that the Son of God had been involved with the Father in creation, and now the Father was being revealed through his one and only Son. Another way John communicated this glorious message was in the "I am" sayings made by Jesus. In these statements, Jesus alluded to God's covenant name "Yahweh," sometimes translated "Jehovah." In Exodus 3:14, God himself explained that the name "Yahweh" essentially means "I am." Jesus alluded to this name in John 6:35, where he said, "I am the bread of life." We also find it in 8:12 and 9:5 in the phrase "I am the light of the world." And in 10:7, 9 we read "I am the gate." In 11:25, it's "I am the resurrection and the life." In 14:6, it's "I am the way and the truth and the life." In 15:1, we find "I am the true vine." And in 8:58, Jesus made the climactic announcement, "I am." In each of these instances, Jesus declared himself to be the bearer of the sacred Old Testament name of God, and revealed God in his own person. Father, I want those you have given me to be with me where I am, and to see my glory, the glory you have given me because you loved me before the creation of the world (John 17:24). Jesus related the salvation of his followers to the love that the Father had for the Son before creation. His point was that our salvation is an outpouring of the Father's love for Jesus. So, if John portrayed Jesus as the Son of God who accomplished the eternal plan of salvation, how does John's gospel answer our second question? How do we follow Jesus? Love one another. As I have loved you, so you must love one another. By this all men will know that you are my disciples, if you love one another (John 13:34-35). According to John, we follow Jesus by loving each other with his kind of love. In this way, discipleship is both initiated and conducted in love. God's love for us initiates our discipleship. And God's love through us to each other is the expression of our discipleship. This helps us understand why John referred to himself throughout his gospel as "the disciple whom Jesus loved" and not "the disciple that loved." He knew that whatever ability he had to love others came from the depth of Jesus' love for him. Jesus' followers are first loved, and then they are called to love one another. 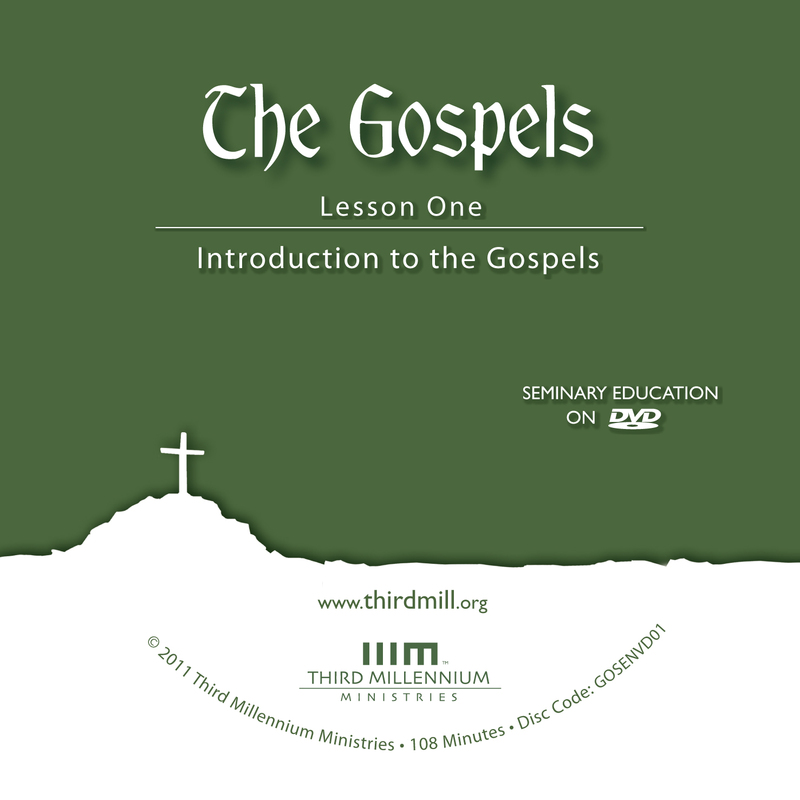 In this lesson, we have been introduced to the study of the Gospels. We have seen their literary character, noting that the Gospels are reliable historical narratives. We have also considered their status in the church, seeing that they are an authentic part of the New Testament Scriptures. And we have looked at them in comparison to one another, finding that they all tell the same story of the kingdom of God, even though each portrays Jesus and discipleship in its own distinctive way. Understanding the Gospels is critical for every Christian. We place all our confidence in this life and the next in the hands of Jesus, whom we have never seen face-to-face. Everything we know about him, we know through his Word — especially the Gospels. Hopefully, the things we have learned in this introductory lesson have prepared us to explore each of the four gospels in much more depth, in order to understand how each evangelist's message impacts our faith and life. Dr. Steven Tsoukalas is Associate Professor of Apologetics and Christian Thought at Wesley Biblical Seminary.